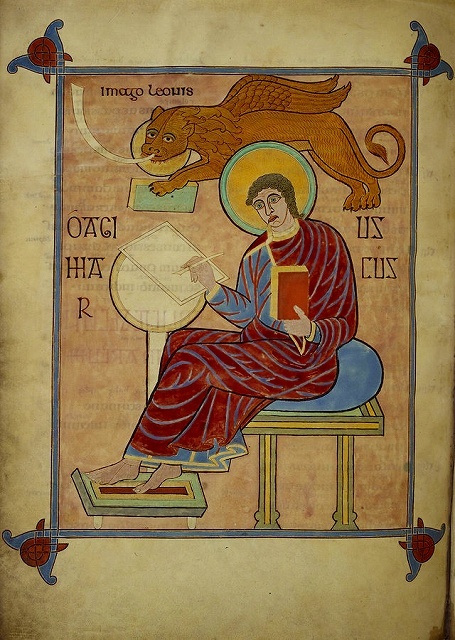 "St. Mark - Lindisfarne Gospels (710-721), f.93v - BL Cotton MS Nero D IV" by Image taken from Lindisfarne Gospels. Originally published/produced in N.E. England [Lindisfarne]; 710-721. Held and digitised by the British Library, and uploaded to Flickr Commons. A higher resolution version may be available for purchase from BL Images Online, imagesonline.bl.uk, reference c13536-06 Please do not overwrite this file. Any cropped or modified version should be uploaded with a new name and linked in the "Other versions =" parameter of this template. 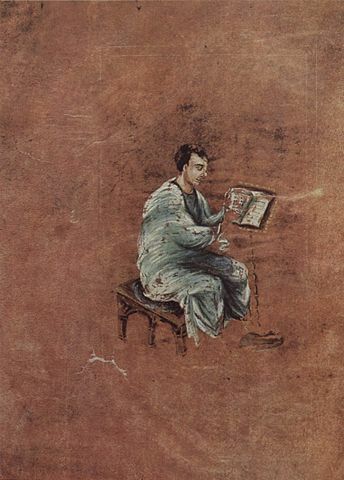 This file has been provided by the British Library from its digital collections. Catalogue entry: Cotton MS Nero D IV - Online viewer (Info) Deutsch | English | Español | Français | Македонски | +/− . Licensed under CC0 via Wikimedia Commons. 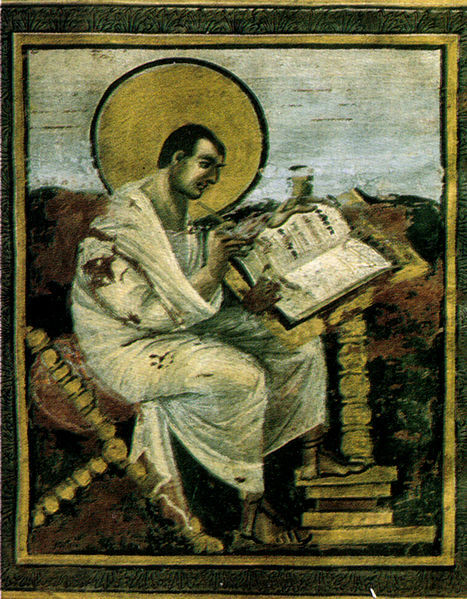 „Evangeli dell'incoronazione (evangelista Matteo), Vienna, Kunsthistorisches Museum, 25,10x32,30 cm, inizio IX secolo“. 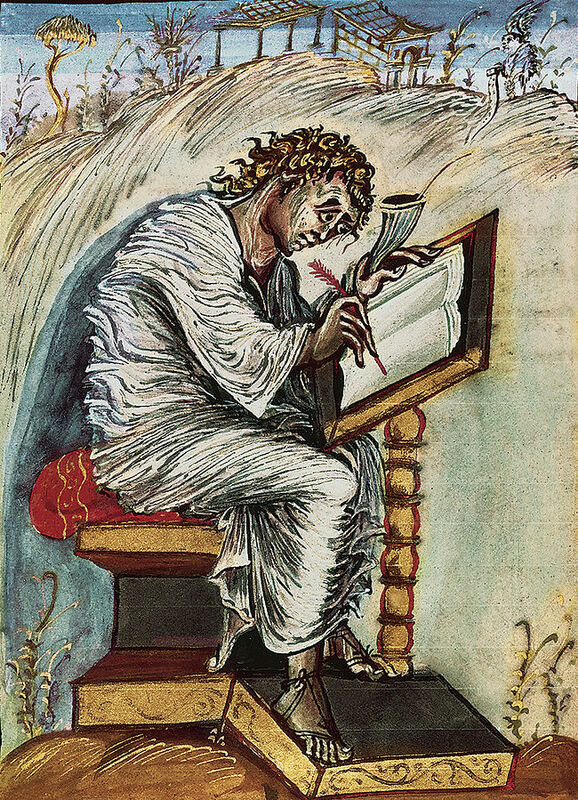 Lizenziert unter Gemeinfrei über Wikimedia Commons. „Meister der Neuen Hofschule Karls des Großen 002“ von Meister der Neuen Hofschule Karls des Großen - The Yorck Project: 10.000 Meisterwerke der Malerei. DVD-ROM, 2002. ISBN 3936122202. Distributed by DIRECTMEDIA Publishing GmbH.. Lizenziert unter Gemeinfrei über Wikimedia Commons. "Saint Matthew2" by Giraudon/Art Resource, NY. Licensed under パブリック・ドメイン via ウィキメディア・コモンズ.